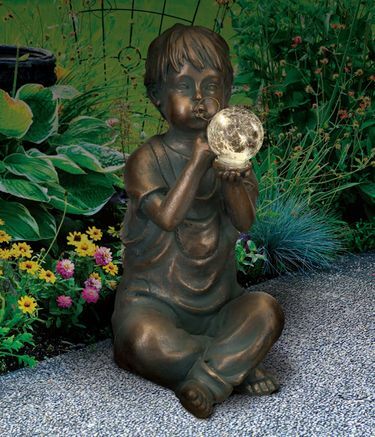 Help your garden glow with our precious new Solar Boy Garden Statue! As he watches over your flowers and blows his bubbles during the day, this garden boy statue will be fully charged by the sun thanks to his discrete solar panel. At dusk, the auto sensor automatically illuminates his globe, making your yard feel like a magical fairy garden.